New findings from biology and education research show that regular exercise benefits the brain in numerous ways. Not only can regular workouts in the gym or on the playground improve attention span, memory, and learning, they can also reduce stress and the effects of attention-deficit hyperactivity disorder and even delay cognitive decline in old age. In short, staying in shape can make you smarter. Regular exercise everyday helps memory retention and learning functions. Our brains are all about brain cells actually changing, growing, and working better together. For starters, aerobic exercise pumps more blood throughout the body, including to the brain. More blood means more oxygen and, therefore, better-nourished brain tissue. Exercise also spurs the brain to produce more of a protein called brain-derived neurotrophic factor, or BDNF, which Ratey calls "Miracle-Gro for the brain." This powerful protein encourages brain cells to grow, interconnect, and communicate in new ways. Studies also suggest exercise plays a big part in the production of new brain cells, particularly in the dentate gyrus, a part of the brain heavily involved in learning and memory skills. Call 1-800-875-9145 to speak with one of our fitness advisors with any questions you may have. How do we put a price on our kids overall wellnes and their future - Go to FitnessZone.com today to order the Kids Fit 697 Elementary Surf Trainer and let's give our kids the advantage they deserve. 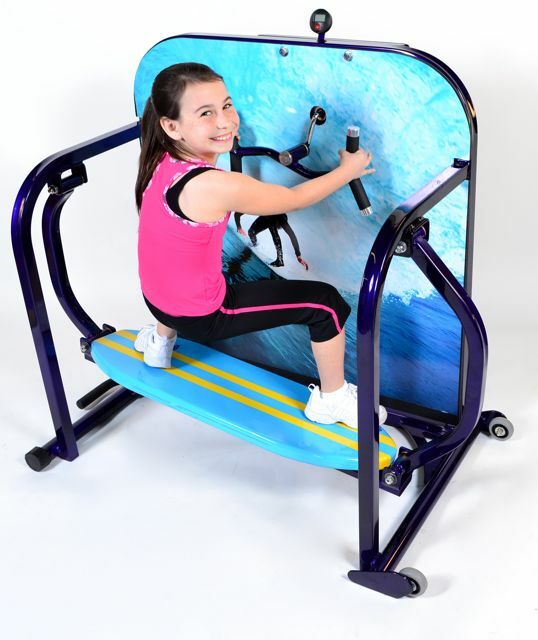 Order your KidsFit 697 Surf Trainer Elem from FitnessZone.com today!